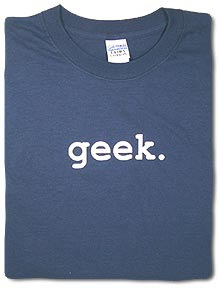 We geeks love T-shirts. Let's admit that, after all nothing gives more pleasure than seeing people bow at our geek factor! So, here's a list of 10 of our favorites, which we think every geek should wear and have in their wardrobe. 1. 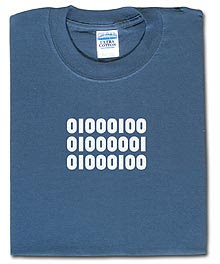 Let's start with the plain old simple 'geek' shirt. Nothing fancy, just announces your geek status to the whole world. 2. 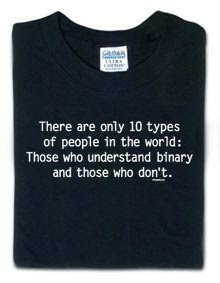 The binary people t-shirt gives a good reason for non-geeks to squirm. 3. 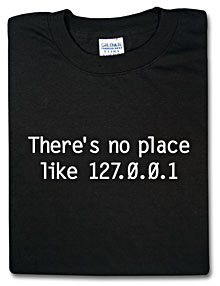 Is there any place better than 127.0.0.1? Nope, and geeks know that. 4. "No. 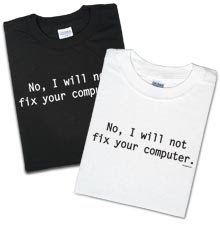 I will not fix your computer", shirt. After all who has got the time to fix someone else's computer when we are are playing WoW huh? Oh, we love this T so much. 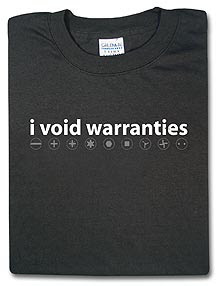 Non-geeks will drop their jaws when they hear "Yah, my shirt knows when I hit a Wi-fi hotspot!" how much you love to tear things apart. Nope, please don't use it as a pick up line. 9. 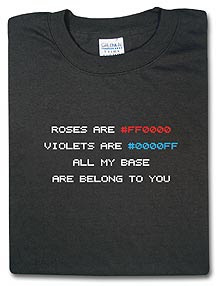 Geek love poem T-shirt. Almost always works on geek girls but don't expect non geek girls to even look at you wearing this shirt! 10. 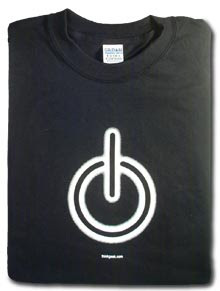 The Power symbol T-shirt. Absoutely very interesting and even glows in the dark.